Abe’s Place is a family owned and operated business that wants to be a part of our local community. Whenever the opportunity arises, Abe’s is in there pitching for causes that mean something to our owner and staff. Here are just a small example of the types of events we’ve been thankful to be a part of over the years we’ve been here in Clearwater. 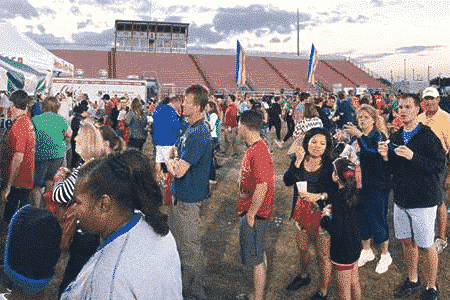 We look forward to being part of many more events in the Tampa Bay area in the years to come! Do you have an event you believe we’d be interested in sponsoring? We believe in supporting our community and we like to sponsors events that help out. 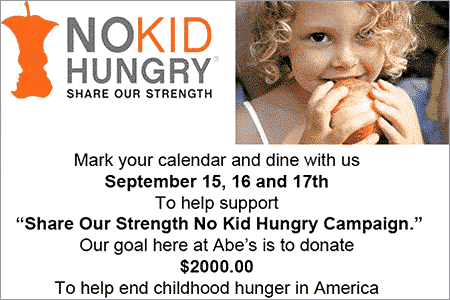 Thank you for asking Abe’s for sponsorship of your event or cause. To request any sponsorship or donation please bring a letter of request, on your organization letterhead if available, and hand it to one of our managers. We consider all requests. If we’re able to approve your donation, we will call you when it’s available for pick up at the restaurant! 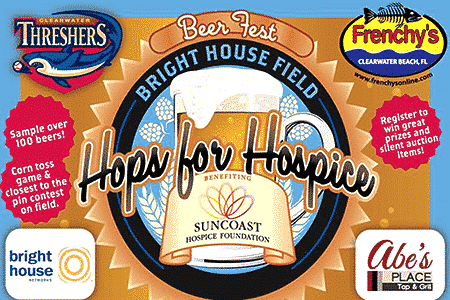 We Feel Strongly About Supporting Suncoast Hospice Foundation! 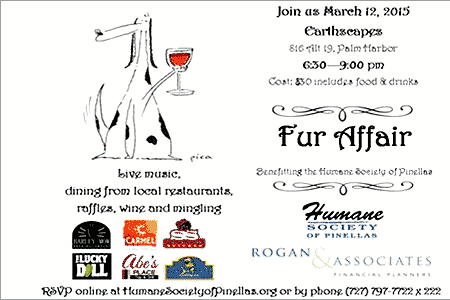 Our Furry Friends Add A Lot To Our Quality of Life - Please Help Them Out! 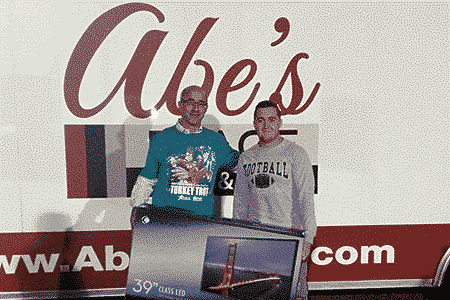 Here's To A Happy Winner Of One Of Our Big Screen TV Giveaways! No Child Should Go Hungry - This We Believe Needs To End! Abe's Loves This Community - We're Wherever You Are Tampa Bay! 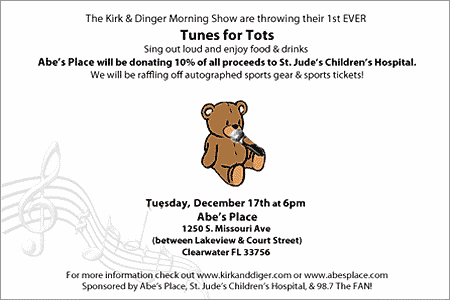 Tunes For Tots - Come Sing Out Loud For St. Jude's Children's Hospital!